It’s Reformation Sunday, a festival of the church that for the most part is only celebrated by Lutherans. It’s an odd holiday, in that it celebrates both a moment and a movement in the church. The moment was the posting of the 95 theses by Martin Luther on the door of the Castle Church in Wittenberg, Germany — a moment that sparked a movement which came to be known as the Reformation, a watershed moment in the Western Church in which the power and the practices of the church were radically transformed, a radical upheaval that ended up challenging Christian people and communities to understand their faith in entirely new ways. 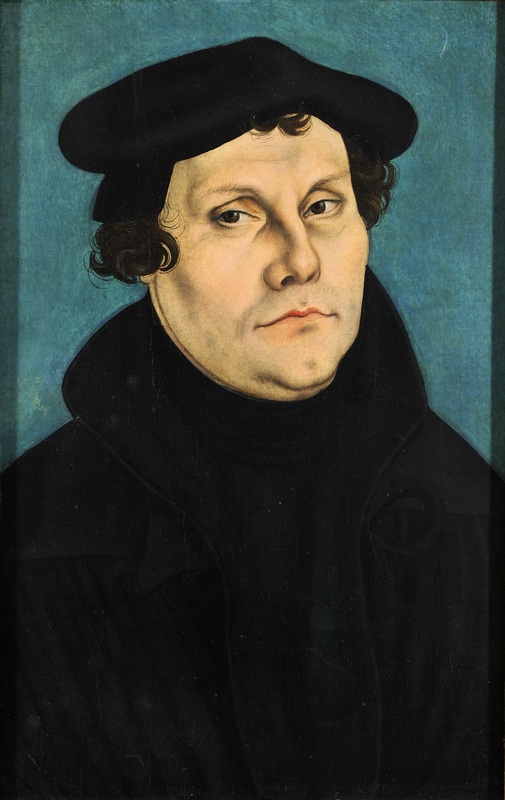 As the father of this movement Martin Luther tends to be the focus of many a Reformation Day sermon. That’s understandable, as his biography gives us a sense of the bold faith, the intellectual honesty, and the community of friends and supporters that were needed for the Reformation to be transformed from a single act of public provocation to a movement that swept the continent and changed the world. 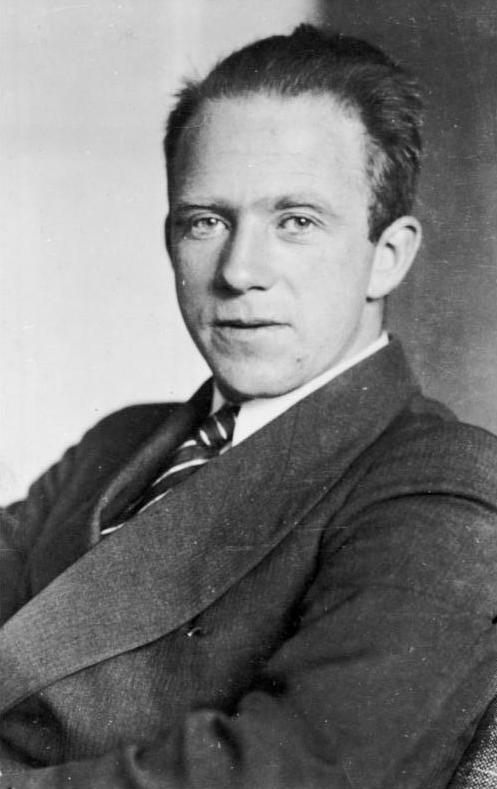 But I’d like to give some consideration to another famous Lutheran this morning, one whose ideas have had just as deep an impact on how we understand the world around us: Werner Heisenberg. Werner Heisenberg was a 20th century Nobel Prize-winning theoretical physicist who helped launch the study of quantum mechanics and who is best known for his uncertainty principle. The essence of the Heisenberg uncertainty principle is that there is a “fundamental limit to the precision with which certain pairs of physical properties of a particle, such as position and momentum, can be known simultaneously.” What this means is that the more precisely we define where a particle is, the less accurately we can tell where it is going. This insight was a cornerstone in the development of models for understanding the universe in which we live on a subatomic level, and it has influenced the development of everything from the microchips that make modern computing possible to the MRI machines that allow doctors to image our internal physiology for diagnosis and treatment. Today quantum mechanics and Heisenberg’s uncertainly principle are taken for granted. During his life however, they represented a radical break with how scientists had understood the very nature of energy and matter. In his 1952 book “Physics and Philosophy: the Revolution in Modern Science” Werner Heisenberg remembers the fear and trembling that overtook him as he began to understand the implications of what he and his colleagues were proposing. Jesus told those who followed him, “if you continue in my word, you are truly my disciples; and you will know the truth, and the truth will make you free.” (John 8:31-32) Freedom, however, is not the same as security. For Werner Heisenberg and Albert Einstein and the community of scientists who proposed the nucleus of our new knowledge of energy and matter, space and time, the freedom that followed on the heels of truth felt like having the ground ripped out from under them. In Martin Luther’s day the truth that challenged the structures of reality was a theological and a political one. In articulating the doctrine of justification by grace through faith, Luther reminded the Christian world that the good news of God in Christ Jesus is that we are saved by the goodness of God, and not through any goodness of our own. This threatened centuries of church teaching that terrified ordinary people with visions of hell, and used that fear to transfer wealth from poor people to the wealthy church so that the basilica of St. Peter could be built on the backs of people who gave more than they had to ensure that they and their loved ones would not spend an eternity in purgatory. This disruption in the area of theology sent ripples out in the fields of politics and economics and soon all of Europe was in revolt, challenging the power of the Holy Roman Empire. Friends, we are living in a moment of great upheaval in the church and in the world, like none that we’ve experienced since the Reformation — and in some ways, like none that we’ve experienced since Christian faith was adopted by the emperor Constantine in the 4th century. Advances in science and technology have shrunk our world to such an extent that it is now quicker and cheaper for us to fly to the far reaches of another continent than it is to buy a car. Imagine trying to explain that to early American settlers who spent months crossing North America. With a few flicks of our fingers across the glass screens of our phones we can access more information than the Library of Alexandria, which housed all the known wisdom of the ancient world. All this knowledge is rapidly transforming not only our local culture, but our global culture. And it’s changing our church culture. If the Reformation decoupled the church and the Holy Roman Empire, and the Enlightenment decoupled the church and the state, then the modern age of information has decoupled the church and the family. What was once a given — that children would assume the religious identity of their parents — is no longer true. Each new generation of young people is faced with a flood of information and experience that challenges any notion of a single way to be in the world. Rites of passage such as baptism and confirmation that used to be expected elements of a family upbringing have been set aside under the rubric of personal choice, waiting to see what religious identity (if any) children will select for themselves. The relationships between individuals within a nuclear family unit have been challenged as deeply in this present age as the relationships between subatomic particles were a century ago by quantum mechanics. In moments like these, it is easy to despair, to feel as though the ground beneath us is crumbling, as though the fabric of reality is being ripped apart. It’s also at moments like these that I think Werner Heisenberg’s principle of uncertainty remains useful, the one that says we can know where a thing is or where it’s headed, but not both at the same time. There is so much energy being spent in the church today naming where the church is. Millions of dollars are being spent describing the state of the church in space and time, the decline in membership, the collapse of the institutions that support it, the loss of the architecture that identifies it, the erosion of the traditions that maintain it. We are becoming experts at naming where the church is today, which makes it so much harder to say with any certain what direction it’s going. To some, the Reformation of the 16th century looked like the end of the church, because they could not imagine a church that did not exist arm in arm with empire. To some, the field of quantum mechanics in the 20th century looked like the end of knowledge, as the very essence of energy and matter was reimagined. In our own day, we are grappling with what it will mean to claim a religious identity in community, when both the range of identities and the stability of communities are more fluid than ever before. It feels like the ground beneath us is shifting and the world we have known is disappearing. If the reformations of the past in science and society have anything to teach us, it is that there is life on the other side of these upheavals. It’s too early to know with any certainty where the church will be on the other side of this moment of evolution, but if we can pull back from our obsessive interest with describing what is and look at the signs of what is becoming, we might be encouraged to notice that there is a movement taking shape at the intersection of religion, politics, economics and identity. People around the world are crying out for new ways of ordering their life together in ways that are ethical, sustainable, and hospitable. More and more we want to find ways to live with dignity in the presence of diversity, to engage difference rather than to simply tolerate it. It is my prayer that the church, whatever it is becoming in this new reformation, will find a way to be both particle and wave, both matter and energy, both institution and movement as the ground beneath us gives way, and the new earth comes into view.